That’s why today I wanted to talk about procrastination. 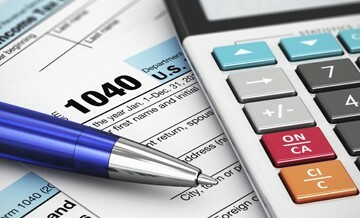 Preparing for taxes are a great example of how procrastination can cost you in time and money. If you don’t have a strong system in place throughout the year, it makes this time of year extremely difficult. Don’t repeat the cycle every year. Have a good system for collecting and filing your paperwork. If your system is piles, drawers and boxes, you will spend an incredible amount of time sorting through paperwork to get information to your accountant. Use software like Quicken or Quickbooks (if you are a business) to track your expenses throughout the year. Not only will you have a good sense of your budget, but you can easily run expense reports at the end of the year to summarize information from all of your accounts. If you are not a detail oriented person or comfortable with computers, hire a bookkeeper to track the information for you. While it is a financial investment you are trading it for your time. What is your time worth? You may spend weeks doing what you could have paid someone 2-4 hours a month throughout the year. If you aren’t doing a great job of dealing with paperwork throughout the year, start sorting it in November. Download year end credit card reports as soon as they are available in January. 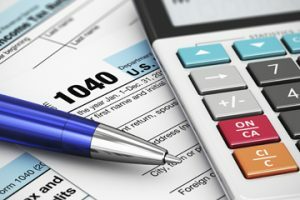 I see many people starting to deal with tax paperwork in April and panicking at the amount of work they have to do in a short time to meet the April 15 deadline. If your paperwork is not prepared and organized you could accrue more fees from your accounting firm doing the leg work to organize it for you. Make a checklist of everything you needed this year so you can reuse it next year. It is much easier to see what you are missing before you hand it over to your accountant. You will avoid a lot of last minute questions and scrambling for that one document you missed. Remember your accountant could be handling hundreds of returns. Your procrastination may cost you when you turn in your paperwork too late. Many accountants will put you on extension if they can’t fit you in at the last minute with their work load. If your return is fairly straightforward, you just cost yourself extra money to file the extension. My clients’ procrastination becomes my emergency at this time of year. I often get calls from people I don’t work with regularly starting in January. They need me to come in and catch up their books for the whole year or sort through paperwork. I love to help. Especially when I can create a system for my clients to follow so they are better prepared for the next year before the tax crisis surfaces again. But, like your accountant, if you come to me too late I may be have trouble squeezing you in at the last minute. Luckily, I work hard to be accommodating! Think about how procrastination on important activities and goals has affected your life. What are you procrastinating today that you can start tomorrow?